This article was peer reviewed by Matt Trask, Paul M. Jones, and Yazid Hanifi. Thanks to all of SitePoint’s peer reviewers for making SitePoint content the best it can be! To make this code, I pasted the Tweet function (above) into the Babel REPL. That’s what all React code is reduced to (minus the occasional optimization) before being executed by a browser. There are many testing approaches – some more effective than others. An effective way to test interface code is by faking (or making) a web request and inspecting the output for the presence and content of specific elements. Perhaps you’ve heard of things like Selenium and Behat? I don’t want to dwell too much on them. Let’s just say that Selenium is a tool we can use to pretend to be a browser, and Behat is a business-friendly language for scripting such pretense. Unfortunately, a lot of browser-based testing can be brittle. It’s tied to the exact structure of markup, and not necessarily related to the logic that generates the markup. …or by defining a plain function which will return a string or React.Component. The previous examples demonstrated the functional approach. This is an interesting way of thinking about an interface. We write render as though it’ll only be called once, but React is constantly reconciling changes to the initial information, and the component’s own internal data. We build React components to render themselves, given any initial information. We can work through all possible inputs in our head. We can even define strict validation for what initial information (or properties) we allow into our components. Without specifying a borderColor or type, a text badge is rendered and it has a black border. 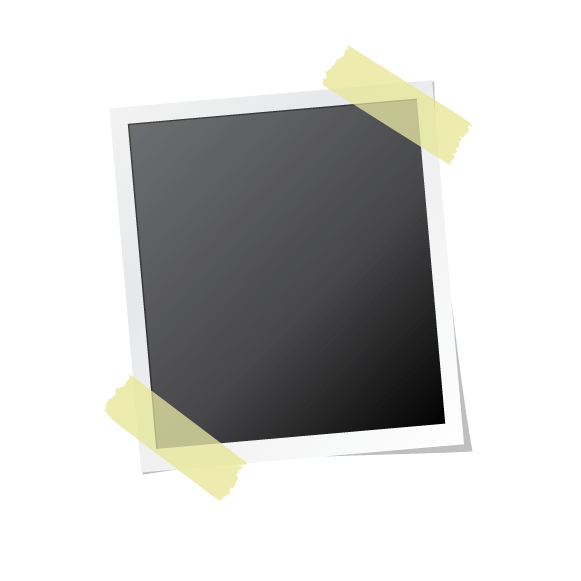 Changing type to image requires that src is also set, and renders an image badge. Changing borderColor to anything changes the border color of text and image badges alike. We need to get Jest set up, before we can run this code. With each modification to the initial properties, a new set of markup may be rendered. We should check that each variation matches a snapshot we know to be accurate. With this, we can see that snapshot testing is a means by which we can predict the output of a given function (or the internal state of a given object), and compare future output to it. With a well-defined blueprint of the data we expect our code to give, we can easily tell when the output is unexpected or incorrect. This has an older name: Characterization Testing. We write characterization (or snapshot) tests by establishing well-formed, expected output. Subsequent tests compare the output of our code against the baseline, using the same inputs. These methods create the same kinds of snapshot files as Jest does. In general, we only need to use the first one, but the second and third generate nicer diffs for their respective content types. I’m showing examples from a Laravel application (buy our introductory course here!). Laravel uses PHPUnit under the hood, so the examples would work outside of Laravel too, with enough modification. Laravel is a useful starting-point because it ships with a template engine, routing, and an ORM. Event Sourcing architectures are particularly well-suited to snapshot testing. There’s a lot to them, so feel free to read up on them! The basic idea behind Event Sourcing is that the database is write-only. Nothing is ever deleted, but every meaningful action leads to an event record. In contrast with most CRUD applications which freely create and delete the latest state of records, Event Source applications add records which represent all the actions. Snapshot testing works with or without Event Sourcing, but testing an event stream is tedious without it. Imagine being able to assert the latest state of a record, but also effortlessly assert every step that got the record to that state. Even before these assertions, it’s useful to simulate browser activity (or whatever input medium this application enables) to assert whether interface interactions generate a snapshot that matches the snapshot of generated events. Asynchronous systems are particularly troublesome to test. At worst we ignore these parts of our application. At best, we struggle through the process of mocking the queue provider for every deferred interaction with the system. What if we could test all queued tasks at once, for our entire test suite? This creates a database table, for the database queue driver. Once the jobs are deleted, they’ll no longer be returned by the select statement. You’ll have to make sure no queue listener/daemon is running for the same database table while the tests are running. You might think that snapshot tests are brittle. Just as brittle as poorly written interface tests. Only slightly more brittle than well-written interface tests. And you’d be right. The question we should be asking is why brittle tests are a problem. An application with some useful tests is in a better place than an application with no tests at all. But when the tests are brittle then any refactoring will break them. Even inconsequential or cosmetic changes are likely to break the tests. Changing the class of a div from “some-style” to “some–style”? If you’re using that in a CSS selector then it’s likely to break the tests. The problem with brittle tests is that rewriting tests takes time. And we don’t want to rewrite tests all the time, especially when tiny changes have made them break prematurely. But we’re not actually writing any tests with Snapshot Testing. Not really. Sure, we can write unit tests and integration tests to compliment our Snapshot tests. But when we write these tests we’re just taking something serializable and comparing it to what it was serialized as in the first place. And when they break, after we’re sure nothing has actually broken, we can just delete the snapshot and try again. In a sense, snapshot testing makes non-TDD testing more interactive. It’s OK that these tests are brittle because they’re easy to regenerate, and still useful in many ways. I had a wonderful ah-ha moment when I first learned about Snapshot Testing. Since then, most of the front-end tests I write are snapshot tests. It’s been interesting considering use-cases for it in PHP. I hope you’re as excited to dig into it as I am! Can you think of more places where this would be useful? Tell us about them in the comments! Thanks, Paul Jones, for pointing me towards Characterization Testing. Christopher is a writer and coder, working at Over. He usually works on application architecture, though sometimes you'll find him building compilers or robots.